How Does a Tankless Water Heater Work to Heat Water So Fast in Lebanon, MO? Have you ever woken up to, or came home to a flooded house or business because your conventional water heater broke? The worst is arriving home from a family trip and rather than unpacking, you have to get to work pulling everything out of the garage to dry out as well as running fans around the walls that have been soaked for an unknown amount of time. You never know when disaster will strike, and it always seems to happen at the most inopportune of moments. Having a plumber like Randall’s Plumbing on speed dial will come in handy when you need it most. Having to deal with water damage is a mess no-one wants to deal with. Randall’s Plumbing would now like to educate you on a fairly new technological advance in the world of water heaters; a tankless water heater! A tankless water heater instantly heats water as it passes through the device eliminating the need to retain any water in the heater itself and essentially eradicating the chance of flooding happening in your home or business. They are a little more pricey to install than a conventional water heater, but in the end saves money in energy and water costs because it only heats the water that is needed at the time without having to keep a tank of hot water on stand-by! Tankless water heaters provide an endless supply of hot water on demand, are reliable, last twice as long as conventional water heaters and can be installed virtually anywhere in your home or business! They come in a convenient compact design that you can simply have installed on a wall inside your home or outside saving you a ton of space that would have been taken up by a bulky water heater. Tankless water heaters can even be monitored and controlled by a smart device via WIFI depending on the model you choose to purchase. Conventional water heaters only offer a limited supply of water at a time based on what can fit in the tank itself, so if more than one person in your home needs to take a shower you’re out of luck! 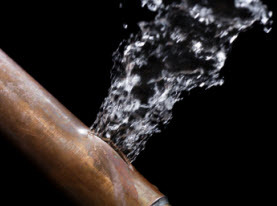 A tankless water heater eliminates this inconvenience! How Does a Tankless Water Heater Heat Water So Fast? Tankless water heaters use copper heat exchangers that rapidly heat the water passing through by either electric or gas heating methods in simple yet effective way. They are equipped with flow sensors which get activated when they sense incoming water flow. 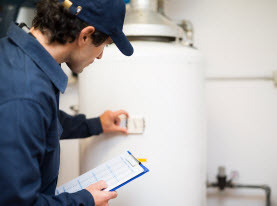 A negative feedback loop brings the water to a desired target temperature of about 120 degrees making burns from scalding water less likely than in a conventional water heater. Having a tankless water heater dramatically reduces the risk of water damage and is an investment worth making. They are extremely beneficial to business owners who rely on a steady supply of hot water to serve their customers, like spas, salons, grooming salons, restaurants, coffee shops etcetera and will pay for themselves by saving you a ton of money on your energy and water bills. They also reduce your risk of exposure to dissolved toxic metals which are present in hot water that has to sit in a tank before use. 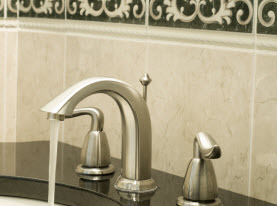 Randall’s Plumbing installs tankless water heaters and can also provide you with all other valuable plumbing services in your home or business. Our Master plumber knows how to get the job done the right way the first time. Contact us today! How Does a Basement Pedestal & Submersible Sump Pump Work in Marshfield, MO?